My name is Gary D. Dietenberger. I was born on January 9th, 1976 in the town of Hartford, WI. The Dragons you see here are a product of visions inside of my mind that cannot be denied freedom. Many years ago, the Dragons first began revealing themselves to me in flashes, only brief glimpses that held tantalizing clues to their existence. Over time, these brief flashes became stronger, more pronounced images that would appear to me in daydreams, or while listening to particularly emotionally-charged music. Now I see Dragons everywhere – in the skies, in the trees, in the water and in the land. It is a marvelous feeling when, in a moment of quiet solitude, a new creature will present itself to me in its magnificent splendor. The challenge, of course, is to allow the creature to manifest itself in the physical realm by being channeled through my hands. Always the Dragons demand for my skills to improve, my abilities to increase, for they yearn to let the world know them in their true, flawless forms. The Dragons that demand release from my mind are physical manifestations of aspects of the natural world fused with human emotions and ideas. Each is linked with an element or elements of Nature, and its disposition and appearance are determined by the emotional and physical qualities bestowed upon those elements by humankind. 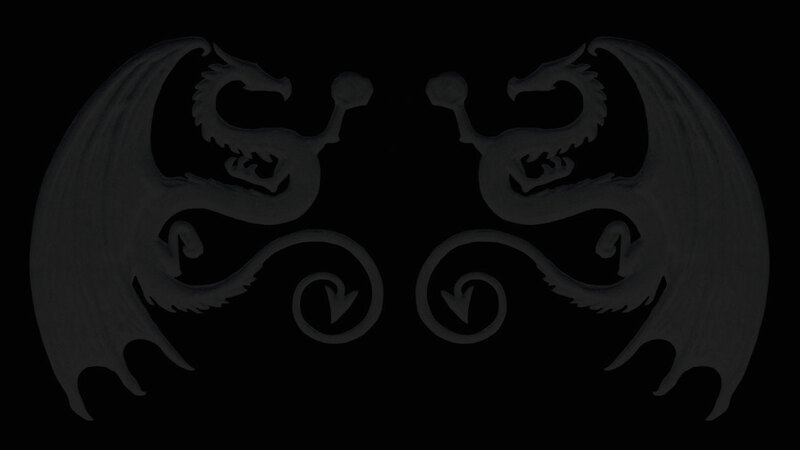 The Dragons of Elcriss are not manifestations of "good" or "evil" unto themselves. As seen in the mythology I have created from which they spring forth, they are all unique - yet interconnected - parts of one great whole. This leaves room for creations that cover the entire spectrum of ideas - good, evil, beautiful, terrible, large and small - all these ideas and concepts are explored in my work, which makes for an incredibly diverse amount of creatures and endless opportunities to explore new avenues within a common theme. My mind is filled with these creatures. New forms are constantly revealing themselves to me, and as the creation of each is a laborious and time-consuming exercise, bringing them all forth will require a lifetime’s dedication. I am fully prepared for it, as bringing forth Dragons is what I love. No matter what life brings, there will always be Dragons.